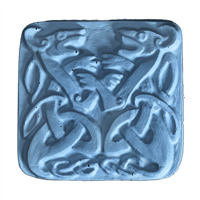 Gargoyles were originally created to prevent rainwater from running down walls and eroding mortar on a building, but they also double as creepy creatures that inspire movie characters. 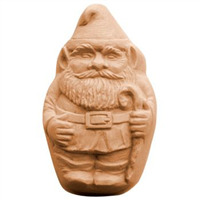 Use for your Halloween soaps. 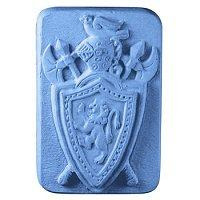 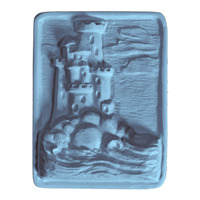 Bar Depth: 1.5" Bar Length: 4.25"
You’ll be given the keys to the city when you add the beautifully sculpted Tray Lock and Key Soap Mold to your collection. 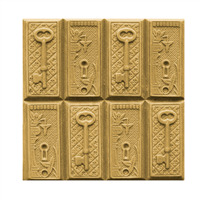 This mold features a raised key on a quilted background and a lock modeled on vintage brass plates. 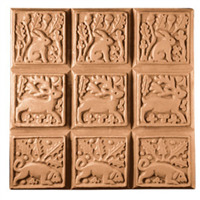 The Medieval Animal Tray Soap Mold features three animals: a rabbit, a deer and a dog. 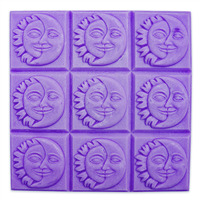 Cut along the seams to create nine soap bars. 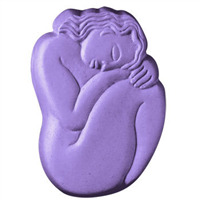 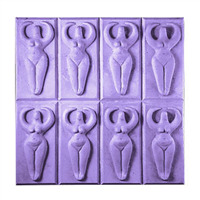 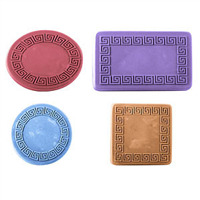 Bar Dimensions: 2 1/2" x 2 1/2" x 1 1/4"
Tray Cavity Dimensions: 8" x 8" x 1 1/4"
Our elegantly designed Sleeping Woman soap mold is perfect for soothing, nurturing soap creations. 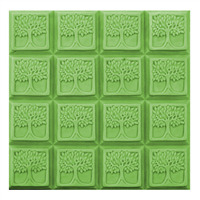 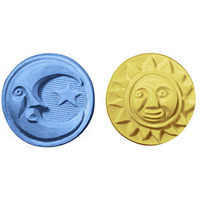 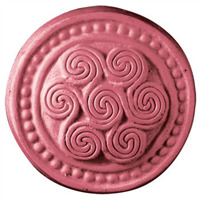 Bar Cavities: 3 Bar Depth: 0.75"
Bar Length: 4" Bar Width: 2.5"
Inspired by Art Nouveau tile work, the Guest Tray Tree of Life Soap Mold is a charming interpretation of a common motif from mythology, religion and philosophy that represents the interconnection of families and friends. 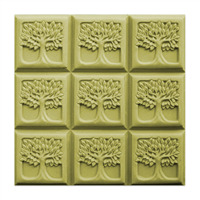 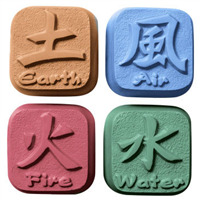 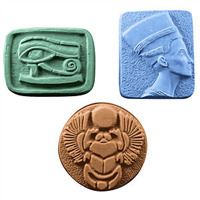 The original Guest Tree of Life soap mold was so popular that we’ve re-sculpted it into a larger design. 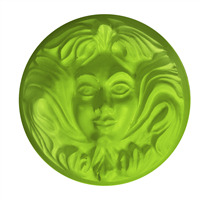 Inspired by Art Nouveau tile work, the Tray Tree of Life Soap Mold signifies the strength of tradition and is perfect for family gatherings. 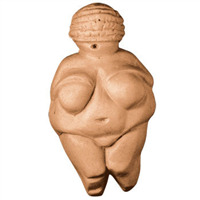 Carved by Paleolithic people 25,000 years ago, the original Venus figure is one of the earliest representations of the human body. 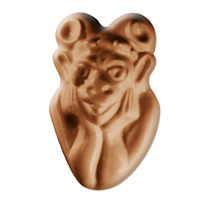 Our Venus of Willendorf soap mold is perfect for either Ice Age theme parties or the hunter-gatherer in your life.